After I was finished picking blueberries in my pj's this morning, I ambled over to the tomato patch and saw this. So much for my new routine, spelled out for you in the last post, of adding cal-mag to the leaves and soil. The good news: it's just on one plant. 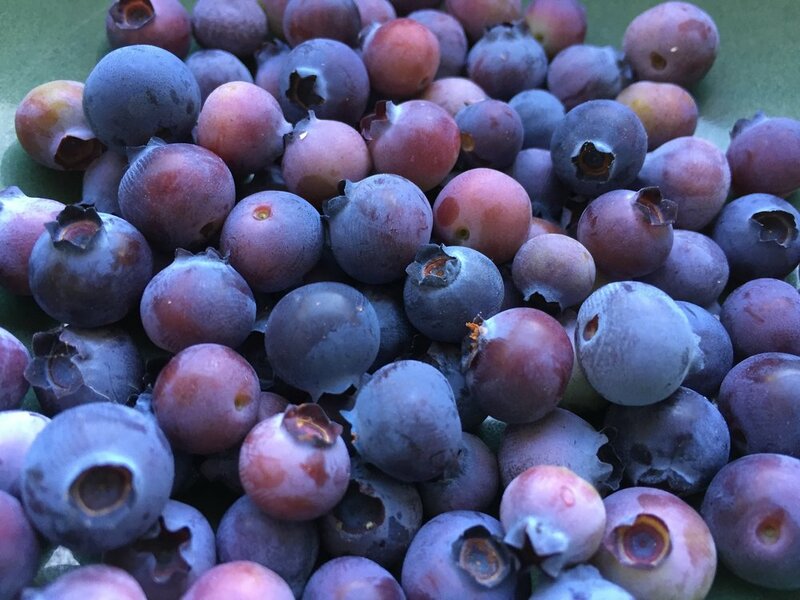 The bad news: I had forgotten everything I wrote last year in the blog post "My plan for blossom end rot in next year's garden." I mean, I'm kind of an idiot. I stepped into the shower with my glasses on this morning (not for the first time), so the fact that I forgot about what I learned just last year is not terribly surprising. 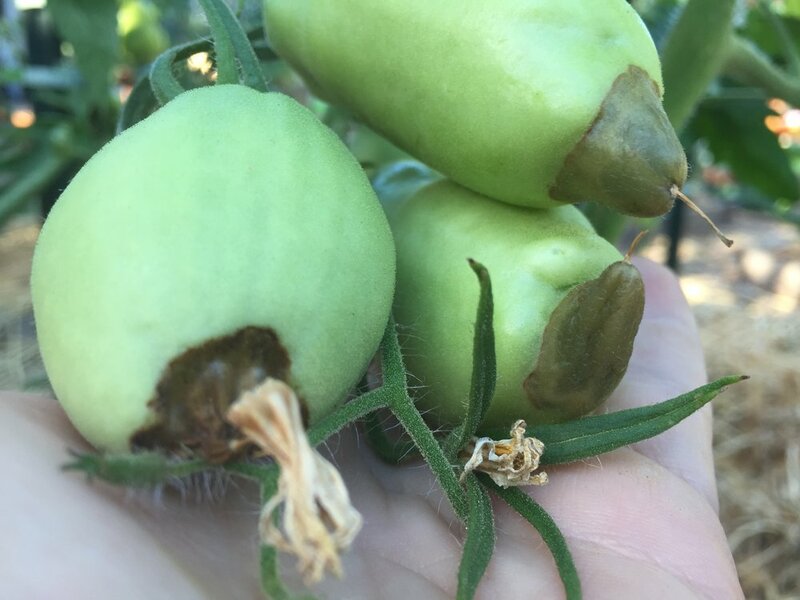 It has helped to re-read that fabulous article by the University of California Ag extension, "Managing Blossom End Rot in Tomatoes and Peppers." I needed a reminder about how calcium moves through the plant, and how transpiration is the biggest driver of that process. I learned last year that the tomatoes I planted on the other side of my garden, which only got morning and late afternoon sun, not mid-day blazing sun, had zero BER. I planted all my tomatoes, this year, on the blazing midday sun side. So naturally I am going to be dealing with some BER. This is the beautiful, meaty 'Opalka' variety, a reliable producer of paste tomatoes, and a variety I have planted every year. I cannot explain how miserable it is to take five gorgeous, fat tomatoes off the vine and put them in the compost. In happier news, I thought you'd like to see a new table we've acquired from my Dad. It's made in the Hepplewhite Pembroke style (late 1700's) and consists of mahogany with holly inlay. It lives indoors but I photographed it outdoors because I thought it complimented my garden. The drop-leaf sides come up to form an oval, so this style of table was often used for tea or for bedside breakfasts, but it is also perfect as a sofa end-table which is how we are using it. For more information about my dad's furniture making, you can check out his videos on YouTube or his website, Killenwood.